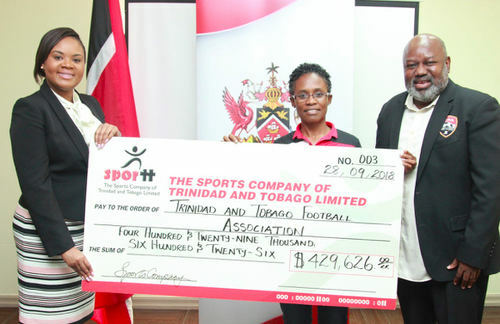 Trinidad and Tobago Women’s National Senior Team manager Jinelle James collected a cheque for TT$429,626 from the Ministry of Sport and Youth Affairs today, which represents the total budget for the team who compete in the Concacaf Championship from 4 October in North Carolina, USA. 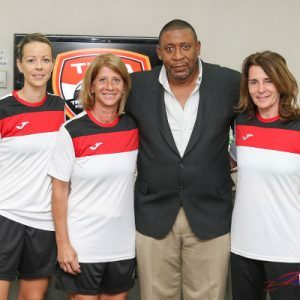 The Women Soca Warriors were initially due to head for a pre-tournament camp in the United States on Tuesday 25 September. 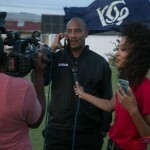 However, the Trinidad and Tobago Football Association (TTFA) did not submit the necessary paperwork on time. Photo: Sport Minister Shamfa Cudjoe (left) presents a cheque to Women’s National Senior Team manager Jinelle James (centre) and TTFA board member on 28 September. 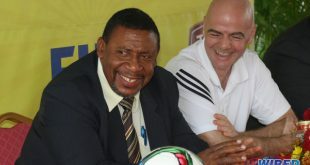 It means the team will leave for the United States tomorrow instead and will have just four days to prepare before facing Panama, Mexico and the United States in World Cup qualifying action. 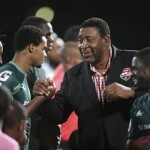 The TTFA only confirmed Shawn Cooper as head coach on Thursday night, after president David John-Williams initially tried to appoint him without board approval. 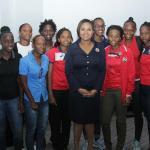 Former national player Dernelle Mascall and current squad member Ayana Russell will serve as Cooper’s assistants while Tasha St Louis will serve as captain. 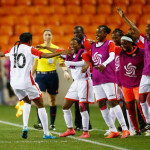 “Notwithstanding the commitment made by TTFA to pay outstanding retainer fees to the players before their departure,” stated a MSYA release, “the TTFA has informed the Ministry of Sport and Youth Affairs (MSYA), that at this time, the female players are still owed retainer fees for the month of August. 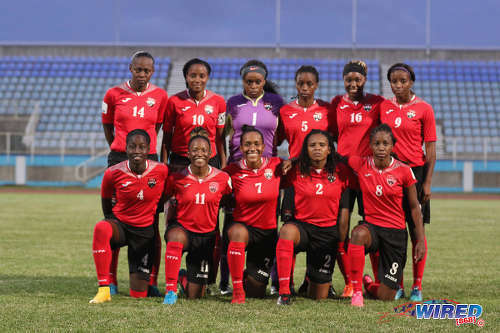 Photo: The Trinidad and Tobago Women’s National Senior Team pose before kick off against the USVI for a World Cup qualifier at the Ato Boldon Stadium on 19 May 2018. Forwards: Kayla Taylor, Kennya Cordner, Mariah Shade.